This week my Friday favourite goes to Evelyn’s, and in particular the super helpful and accommodating head chef! I visited the Northern Quarter eatery with a friend last weekend for dinner, and as the vegan menu options were quite limited the lovely chef offered to make up a dairy-free version of their beetroot and cashew veggie burger (which normally contains egg), served in an avocado bun (heaven!). I think it might have been the best vegan burger I’ve had in a restaurant, and have to shout out the staff for being so helpful. 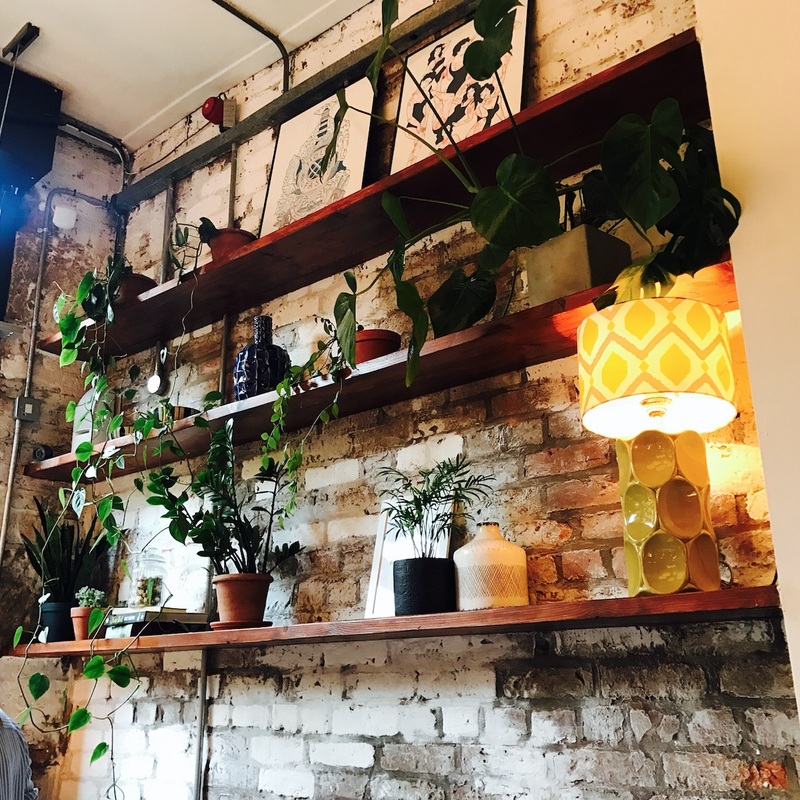 In case you haven’t been, Evelyn’s has a super relaxed weekend vibe, plus an extremely Instagrammable interior, with gorgeous greenery all over the walls. I’d definitely recommend a trip. This week I’m loving another premature holiday purchase, my new ASOS wedge espadrilles. 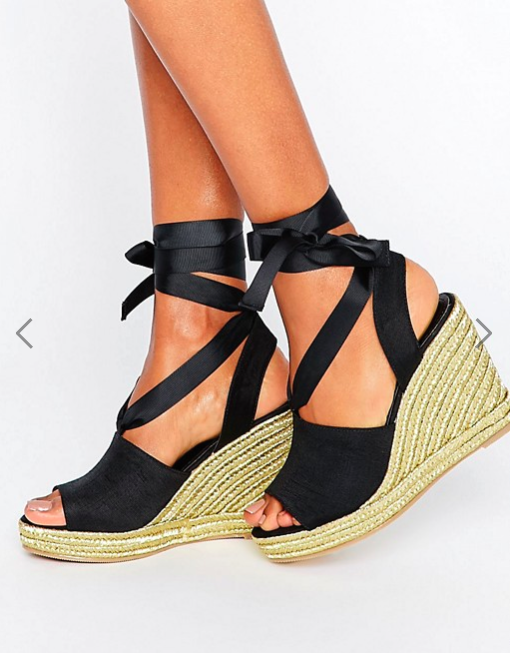 I’d been after a pair of black, ribbon tie espadrilles for summer and when I spotted that these wedges had gone in to the ASOS sale (nearly a tenner off, winner! ), I had to have them. Espadrilles are a perfect summer shoe and the platform wedge is comfortable enough for casual wear, whilst the ribbons and gold woven heel means they can be dressed up a little for evening looks. My Friday favourite this week goes to this little Marks & Spencer bargain that I’ve been using for years; Nature’s Ingredient Body Mist in Coconut. Whenever it comes round to summer I like to switch my perfumes for this body mist; it’s not as heavy as perfume and it’s such a lovely summery smell that it just reminds me of lounging around on a beach. What’s particularly great about this body mist is that it is also so strong, so it lasts throughout the day and is a great way to feel freshened up. The body mist is part of a range, so if coconut isn’t your go-to smell, they do the body mist in other fragrances, and, if you want to smell like a walking coconut, (like I tend to do), they also have a body wash, hand crème and body butter in the range. At only £3 a bottle, it is a must have for your holiday, so, I’ve stocked up and bought five (yes, I’m slightly obsessed). My Friday favourite this week is a place, Seville, to be exact. I’ve always been a fan of this beautiful city, but having just returned from a two week break in Southern Spain, three days of which were spent in Seville, I fell in love with it all over again. From the beautiful architecture to the free tapas you get with every drink, the glorious weather and the typical ‘salmorejo’ (a cold soup type dish, which is just delicious), it’s a place I will never tire of. We spent three days just meandering around the city, exploring the local bars and restaurants (El Rinconcillo was a particular highlight – it’s the oldest bar in the city, having been there since 1670); immersing ourselves in the architecture, from the Alcázar to the Plaza de España (pictured) and beyond; and generally marvelling at its beauty. 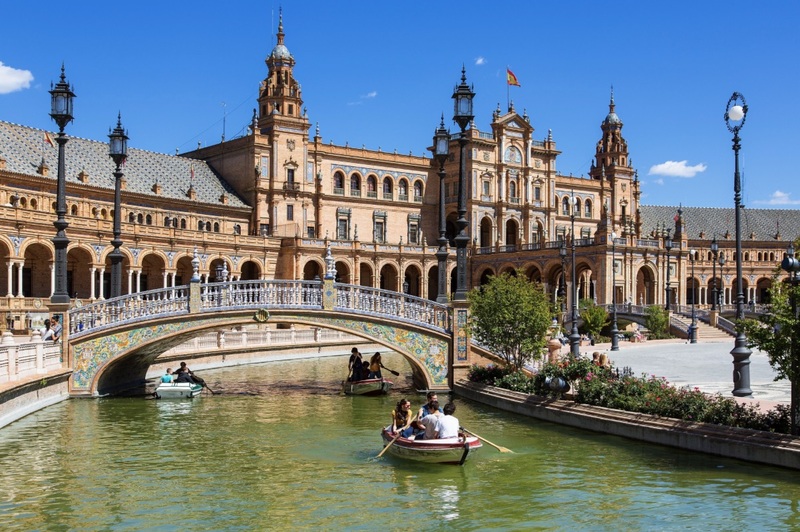 From Manchester the best option is to fly to Málaga before jumping on a train bound for Seville – or do what we did and spend a day or two in Málaga and a couple in Granada en route, they’re all well worth a visit. I’m already desperate to go back!